Peter Middleton's Rhythm of Life Afternoon Tea Dance has raised £333 pounds for Andover and District Mencap this Christmas. The Afternoon Tea Dance was held at the United Reform Church Hall, between 3.00 and 5.30pm, on Saturday, December 13th.The Band waived the normal £5.00 entrance fee and asked the public to donate whatever they felt able to. The public danced waltzes, jive and tangos to the live popular music from The Rhythm of Life band. Music includes old favourites such as Cliff Richard and Christmas tunes. The Brilliant Drama group demonstrated a dance they are working on for their Big Show in February. 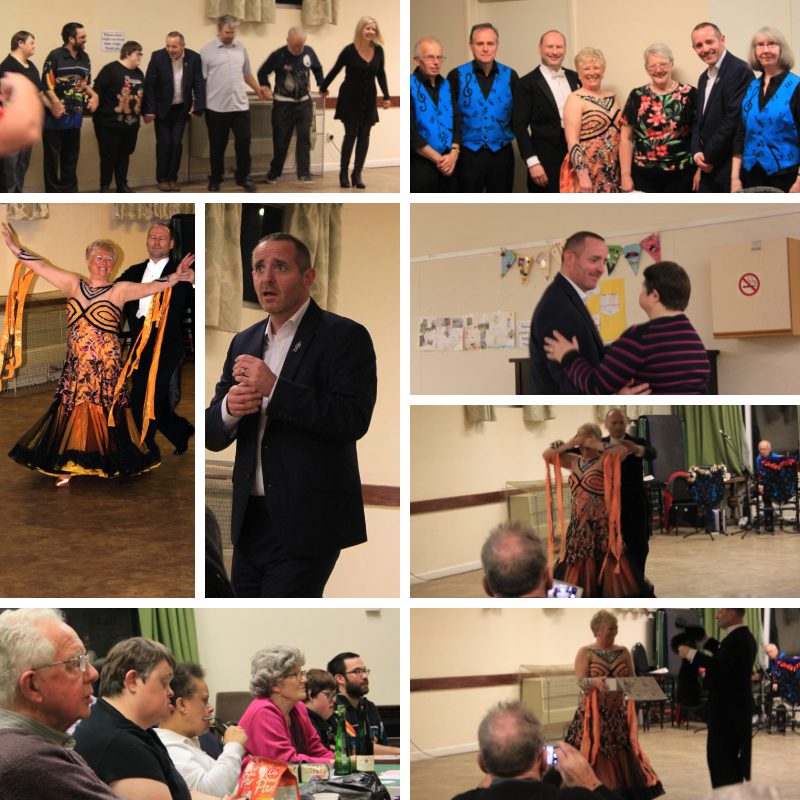 "Our Drama group loves dancing and it was wonderful to find another venue where we can relax and enjoy what we do best," said Cat Randle, club leader. After a fabulous tea of homemade cakes and tea, Ken and Jacinta White, members of the England Amateur Ballroom Dancing team, danced a Christmas themed dance and demonstrated a professional waltz. Ken and Jacinta danced with different members of the public during the afternoon. Andover and District Mencap CEO thanked Peter and The Afternoon Tea dance for their generosity. "The government cuts are making life harder for all charities in the third sector. We have been amazed by Peter and his hard work to support Andover abnd District Mencap. We are grateful for support from all areas of our community." The next Afternoon Tea Dance will be in February. If you'd like to know more email [email protected] or look on TheRhythmofLife Facebook page.